Rohit is the skipper for the Windies T20Is. Ever since his debut in 2004, on very instances has MS Dhoni been dropped. However, he has recently been sidelined from the T20I squad for the series against the Windies as well as Australia later this year. He is 37 years and has been a pale shadow of his glorious part. He has undoubtedly been impressive with the keeping gloves and as a mentor to the youngsters. But his form with the bat hasn’t been good enough. 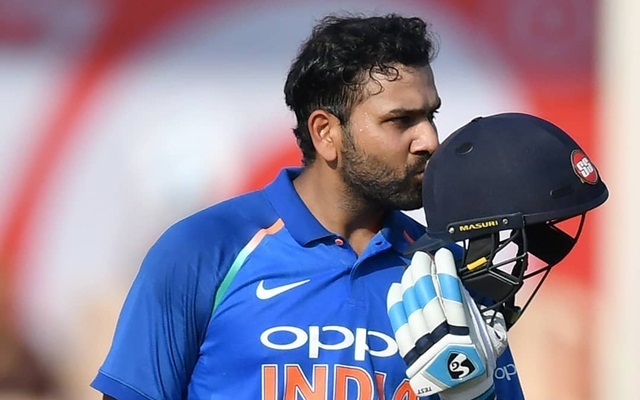 Nevertheless, Rohit Sharma, who will be leading the team in the absence of Virat Kohli against the Windies, mentioned that the Jharkhand-born cricketer has been an integral part of their setup. He also said that the other two keepers- Dinesh Karthik and Rishabh Pant- have a golden opportunity to put their best foot forward. “Dhoni has been such a massive player for us over the years. His experience in the middle, behind the stumps, will be missed but Rishabh and Dinesh are both keepers and they have a great opportunity to show what they are capable of,” Rohit was quoted as saying in the pre-match press conference of the Kolkata T20I. “Rishabh and Dinesh have done well in T20s, whether it’s their state side (Delhi and Tamil Nadu respectively) or their IPL teams. So it’s a good time to test them. We can’t go into the World Cup with limited resources so you need to keep options at hand,” the 31-year-old added. India are scheduled to play a three-match T20I series against the Windies. The opening match is all set to be played at the iconic Eden Gardens in Kolkata. Lucknow and Chennai are the venues for the remaining 20-overs fixtures. The Men in Blue won the ODI series 3-1 and would be keen to carry on with their rich vein of form in the T20 format.